Comedian turned actor Kapil Sharma’s controversy is getting complicated with each passing day. 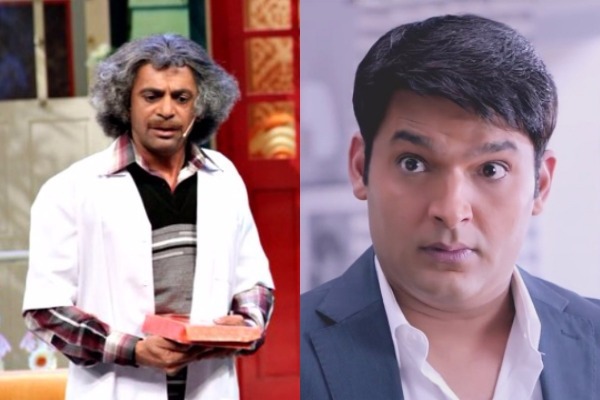 Since Sunil Grover and other comedians have boycotted the show, Kapil is in a serious mess. Little did Kapil know that one day his wit and comedy timing will fail to impress the audience. Yes, something such happened during the shooting of the recent episode of ‘The Kapil Sharma Show’ and it is indeed saddening. Since Sunil Grover, Chandan Prabhakar, Ali Asgar and Sugandha Mishra have quit the show, Kapil Sharma’s show has lost the same charm. In fact, even he has fallen low and dull with his wit and humour. If reports are anything to go by, during the shooting of the upcoming episode, Kapil Sharma’s comic timing was so off that audience did not react at all. After seeing no response from the audience, upset Kapil packed up and canceled the shoot in within 15 minutes. Nothing was alright on the sets as the main cast was missing. Even Kiku Sharda was shocked with Kapil’s act. It was quite evident that laughter was missing on the sets and things are surely not in the favour of Kapil Sharma. Now it remains to see what Kapil is up to and if he manages to bring back Sunil Grover on his show. On a related note, Kapil will be shooting with Parineeti Chopra and Ayushmann Khurrana for the promotions of their upcoming film, Meri Pyaari Bindu.